Wildcraft Flowers celebrates the wild, seasonal beauty of flowers. Our certified naturally grown flower farm produces a variety of sustainably grown cut-flowers for the flower-lover, florist, and retailer. Wildcraft Flowers is owned and operated by wife and husband, Carroll and Richard Candler in Sharpsburg, Georgia. 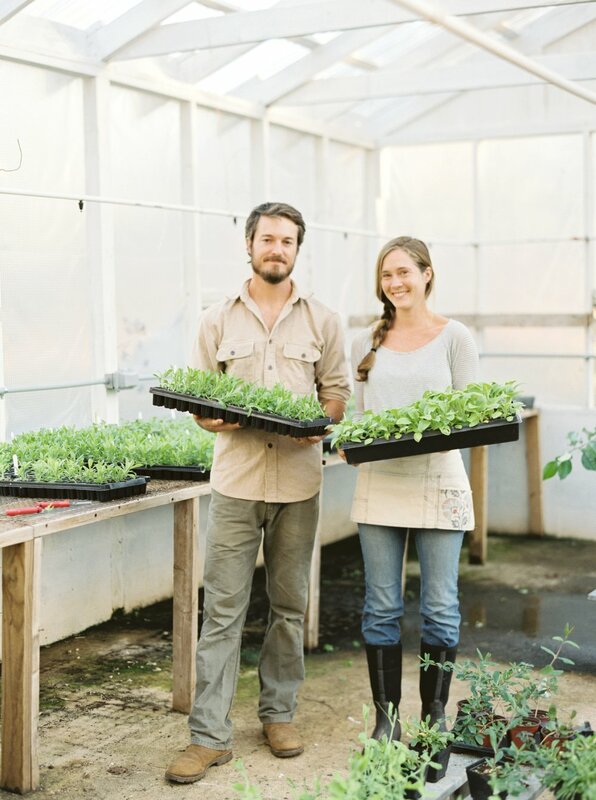 Carroll and Richard's shared passion for botany, and love of holistic agriculture led them on the journey to starting their farm-florist operation. Motivated by our commitment to the wild plant and animal community in which we live, Wildcraft Flowers uses holistic practices to grow all of our flowers. We are proud members of the slow flower movement, which promotes a shift in the cut-flower industry towards seasonal, ethically grown, American produced flowers. We are constantly aware of our impact on our environment and strive to manage our land in a way that can benefit all creatures alike. We also spend a portion of our time restoring native plant communities and wildlife habitat on our flower farm and homestead. We believe in preserving land through sustainable agriculture, in protecting native ecosystems, in hard work, in living a healthy and active life, and in the uplifting power of beautiful things. All of this motivates us to grow flowers.